The county of Conwy is on the north coast of Wales, and some of the county is in the wonderful Snowdonia National Park. The county offers superb scenery, blue flag beaches, and mountains making it an ideal location for all sorts of holiday activities. 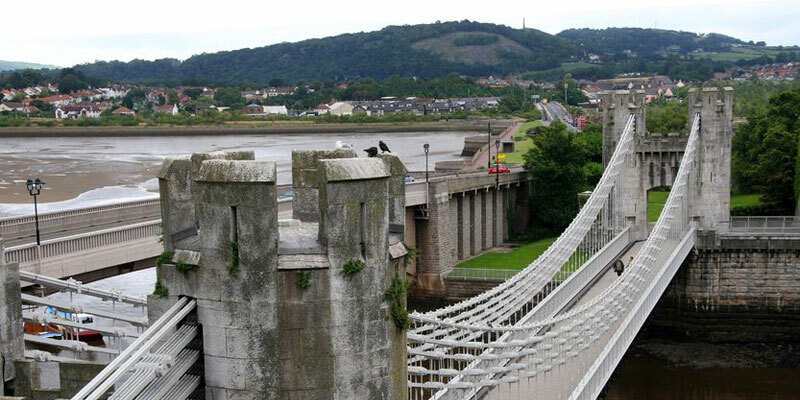 Within the county is the medieval walled town of Conway, with its famous historic castle, Conwy Castle, a World Heritage Site. In the town you can explore the picturesque quay, shores, shops and restaurants. A beautiful seaside resort on the North Coast of Wales and is the largest resort in Wales, it offers a elegant promenade, beautiful seafront architecture, pier and beach. There are various watersports available including sailing and windsurfing. Why not take the San Franciscan-style tramway or alpine cable car to the summit of the Great Orme Country Park, to take in all the stunning views from the top.